This little red riding hood has really changed the way I think about small-to-mid capacity motorcycles. You see, when the time had come for my first motorcycle in 2005, I had begun with one that had a 346cc engine. That was quite a leap from the 100cc scooter before it. After that motorcycle, I never looked back. And subsequent purchases over the years have been around the 373cc mark, discounting any momentary classic motorcycle purchases. So apart from riding test vehicles over a few days at a stretch, this has been my longest stint on a motorcycle in this capacity range. 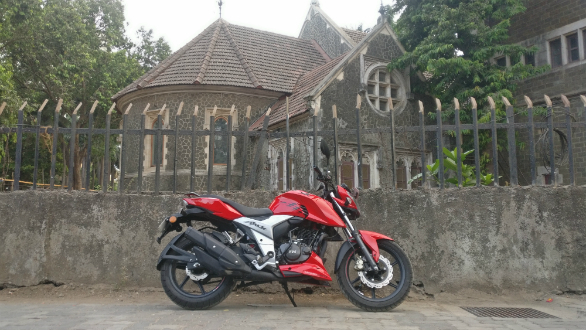 And in this time, I have come to believe that there is no better motorcycle than the Apache RTR 160 4V to make a case for the argument against 'no replacement for displacement'. Allow me to explain. The baby Apache has been my daily driver since it joined the OD long-term fleet and has done well by me. Thanks in no small part to its refined 159.7cc motor. The power output is smooth and linear. The fun of a motor, most powerful in its segment might I add, that remains poised at all rpm is a thing of joy. 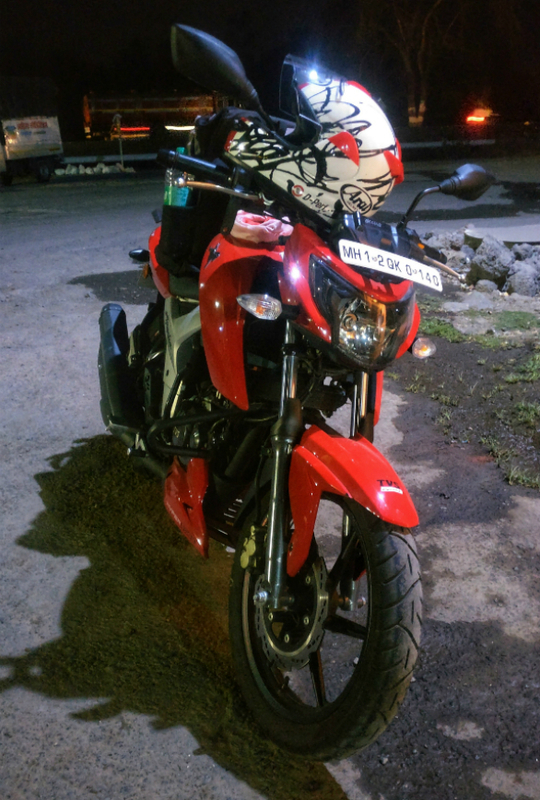 Recently, I was lucky to ride its larger capacity sibling, the RTR 200 4V. Now, both share their race-derived underpinnings, barring the rear subframe. Even so, the 200 has a more focussed riding position, while the relatively neutral 160 takes less to get used to, and is more flexible. Will a small visor or fairing on the headlamp give it a sportier look? This shows two things, that TVS really knows how to flex a platform for different, specific applications, and that it can harness its racetrack expertise for the road. The practical nature of the fun has kept me picking the RTR 160 4V over my own 390 Duke. And the reason is that I'm a happy camper, whether I've just ridden to work through a waterlogged street during the monsoon, or on a deliberate 15-km detour while returning home after a late night in the office.